A man has been been jailed after he endangered an aircraft by making a bomb hoax which resulted in a Sri Lankan Airlines flight being diverted to Stansted Airport. Alan Patey, of no fixed address has been jailed for three years. The 49-year-old pleaded guilty to making a bomb hoax in court yesterday, reports the Cambridge News. Mr. Pately made the bomb hoax while on board a Sri Lankan Airlines A330 Airbus which was flying from Sri Lanka to Heathrow on Friday, Septmber 20. 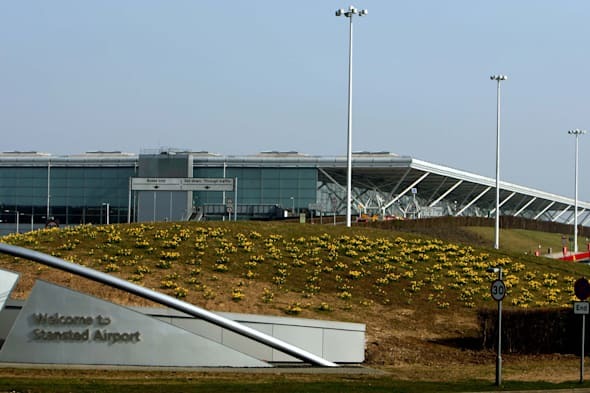 His threats and actions resulted in the aircraft being diverted to Stansted Airport, where Essex police officers boarded the plane and arrested him and another 57-year-old man who was later released without charge. The other passengers, who were left inconvenienced and distressed, were transferred to Heathrow by coach. Detective Chief Inspector Simon Werrett, senior investigating officer from the Kent and Essex Serious Crime Directorate, said: "This was a traumatic incident for the pilot, the crew and passengers on flight UL 503 from Sri Lanka to the United Kingdom. "They not only had to be escorted from the plane for their own safety, but were naturally delayed in reaching their final destination. "The courage of the pilot and his crew should be highlighted in the calm professional way they dealt with the situation believing there was a device on board. The sentence today reflects the actions of Mr Patey and should act as a deterrent to others considering similar actions." We've heard of vomiting bugs in hotels and cruises but rarely on a plane. On a flight from Chile to Sydney in August 2013, 26 passengers became violently ill with gastroenteritis after celebrating at a festival in Brazil and picking up the bug before boarding the plane. Some of the passengers were taken to hospital once the plane landed in Sydney and the plane had to be quarantined and disinfected upon arrival. This is one flight we're really glad we weren't on as the Boeing 747-400 only had eight toilets and the group developed vomiting and diarrhoea. When you're on a long (and pricey) trans-Atlantic flight, the one thing you don't want to happen is for the plane to run out of toilet paper. Unlucky for passengers on a United Airlines flight from London to San Francisco in June 2013, the toilets ran low on tissue after the airline forgot to restock its supply. The passengers were forced to use cocktail napkins instead of loo paper when nature called and were allegedly told to use what they had brought on board for the 10-hour flight. That's one way for an airline to find itself deep in poo! We all hate flight delays and even a few hours can leave us peeved, but holidaymakers on a Monarch Airlines plane from Tenerife were stranded on the Canary Island for a whopping 50 hours in August 2012 when their plane suffered a fault. The crew discovered a problem with the door hatch and asked passengers to get off the plane and wait for three hours. They then spent another hour on the plane before being put up in a hotel. A replacement plane eventually flew them to Birmingham. When a pilot accidentally locked himself in the toilet of a New York-bound flight in 2011, he ended up causing a mid-air 'terror' panic too. When a well-meaning passenger heard the pilot trying to get out of the loo, he offered to help. The pilot asked the man to go to the cockpit and inform the crew of the situation, but the co-pilot was completed spooked by the man's "thick Middle Eastern" accent and refused to let him in, calling a state of emergency. Fighter planes were alerted at the arrival airport and the co-pilot was told to "just get on the ground". When he managed to break out of the toilet the pilot assured air traffic control that there was no threat. But the FBI still waited to meet the plane when it landed and spoke to the poor passenger who just wanted to help. You won't want to watch this video if you can't stomach a scary take-off. The pilot of a Russian aircraft seemed undeterred by taking off in a swamp and wasn't going to let a bit of mud get in his way. Just when you think the flight will only end in disaster it manages to take off. We've seen a few crazy take-off videos but we're really thankful we weren't on this plane! If you're a non-smoker, you won't be able to think of anything worse than a smoker lighting up a cigarette next to you on a flight. Three Canadian passengers on a Sunwing flight did just that in February 2013 - even though smoking has been banned on aircrafts for more than 15 years. And what's more, they refused to put their cigarettes out and ended up diverting the flight, which was travelling from Halifax to the Dominican Republic, to Bermuda. When the plane landed, their passports were seized by police, while the other passengers continued their journey. Sometimes you hear about passengers who randomly start screaming and making threats to fellow travellers but we never want to come across a pilot who has a mid-air meltdown. A JetBlue pilot flying a plane from New York to Las Vegas in March 2012 began yelling about terrorism, Al Qaeda and a bomb on board. He ended up being wrestled to the floor by passengers and was locked out of the cockpit. Luckily there was an off-duty pilot on board to help the plane make an emergency landing and once the plane landed, the pilot was put on a stretcher and taken to hospital. Terrified passengers on board an easyJet plane had to overpower a man who twice attempted to open a cabin door mid-flight at 35,000ft. The man, in his 40s, became agitated during the flight from Krakow to Edinburgh and started pacing up and down the aisles while clutching onto a flight safety instruction card, which detailed how to open the exit during an emergency situation. He then put on his rucksack and lunged for the door handle before being tackled by cabin crew and passengers and forcing an emergency landing at Amsterdam Schiphol Airport. There are times when the pilots are up against nature and have absolutely no control over a situation, such as when lightning strikes. In January 2013, a Turkish Airlines flight carrying 114 passengers was struck by lightning. A passenger filmed the incident, which saw sparks from the plane's engine as it caught fire and the cabin lights flickering on and off. Fortunately, despite the plane catching fire mid-air, it made a safe emergency landing and no-one was injured. In June 2013, a man on a United Airlines flight from Hong Kong to New York told flight attendants he had "poisoned everyone on board". There was no indication that anyone had actually been poisoned but imagine having to spend the rest of a long-haul flight wondering if someone had tampered with your airline meal. FBI agents waited to meet the flight as it landed and the passenger was restrained by fellow travellers after making the claim. One emergency landing is enough but could you handle two on one flight? That's what "terrified" passengers on a British Airways flight from Saudi Arabia to London endured in August 2013. First the plane was delayed for five hours and in the air for about 40 minutes before making an emergency landing because of a problem with the plane's wing flaps. Then the next day when the passengers boarded the same plane, the problem reoccurred and the flight was aborted a second time. Passengers were reportedly "physically sick and crying" during the landings as the plane had to circle the desert to dump around 20 tonnes of fuel to be the correct weight to land safely. We never knew breakfast on a plane could be so dangerous but 12 passengers on a Singapore Airlines flight to London suffered minor injuries when the plane suddenly plunged 30 metres during their morning meal. Passengers posted photos of the messy scene on social media sites, with breakfast trays strewn all over the floor and coffee splattered on the ceiling. The plane was hit by turbulence during the food service two hours into the flight and medical personnel attended those injured on arrival at Heathrow Airport. The passengers received a box of chocolates as they passed through arrivals. If the sound of babies crying on a flight is disruptive enough to your journey, you certainly wouldn't have enjoyed the American Airlines flight from Los Angeles to New York, which saw an "unruly" passenger repeatedly sing Whitney Houston's I Will Always Love You. We've watched the video and the woman is no Whitney Houston! She ended up being handcuffed and removed from the flight - but not before putting the other passengers off Whitney's music for life! If you thought snakes on a plane was just something from a horror film, you were wrong. In October 2012, cabin crew on a flight from Cancun to Scotland were shocked to find a stowaway snake hiding under the passenger seats. The 18-inch snake was found as the plane landed at Glasgow Airport: it had managed to travel 5,000 miles unnoticed. Animal rescuers believed it was an American smooth-scaled racer, which isn't venomous but can bite, and that it had hitched a lift in someone's hand luggage. Thought a naughty child kicking your chair was bad? In August 2013, 30 adults created the flight from hell when they ran riot on a Ryanair flight from Prestwick to Ibiza, swearing, threatening and even sexually harassing crew in front of other holidaymakers, including families with young children. The men were warned by police about their behaviour before boarding but this didn't stop their drunken rampage, which saw them shouting and jumping on the seats too.